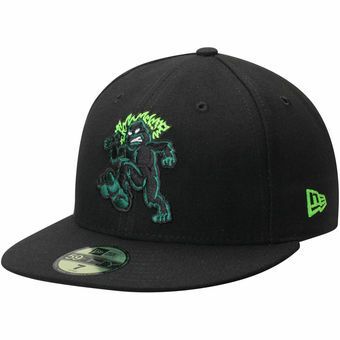 Every year, I look forward to the Eugene Emeralds’ season with great anticipation. This year is no different. And, like every year, I do a preview of the team two months before they begin play. It’s kind of my thing. What is different about this year is the number of elite prospects that could be headed Eugene’s way. Normally, the Eugene roster is a mix of young international players and recent college draft picks. This year’s team has some highly anticipated players who won a championship in Mesa and who dominated in the Dominican Summer League in 2017. A few of the players were selected in the draft out of high school; they’ve been the exception rather than the norm the last few years. Let’s take a sneak peek at who might be playing in PK Park this summer. 19-year-old Fernando Kelli made a sensation last summer in the Dominican Summer League when he stole 58 bases and had an on base percentage of .437. He has mad speed and will be fun to watch once he gets on base. Another 19-year-old outfielder for Eugene should be Nelson Velasquez. In just a six week span in 2017, he hit eight home runs over six weeks last summer at Mesa in helping to lead Mesa to an Arizona Rookie League championship. While he does need to cut down on the strikeouts, Velasquez is pure power. Two other outfielders that could see plenty of time in the field and at DH are Jonathan Sierra and Jose Gutierrez. Both played with Velasquez last year in Mesa. Sierra looked like Darryl Strawberry when the Cubs signed him in 2015 as a 16-year-old. He’s filled out quite a bit since but is still working on his hitting after two full seasons between the Dominican and at Mesa. He’s an outstanding defender with the potential for immense power. As for Gutierrez, he really turned it on in the second half of 2017 as the leadoff man for Mesa and was one of the reasons they were able to score a lot of runs down the stretch to win the title. The Cubs liked Delvin Zinn so much, they selected him twice; once in 2015 and then again in 2016. Zinn is one of the most athletic players in the system and should be at second base. Playing beside him will be one of my favorite young players to watch this year in Luis Vazquez. The first thing you notice about Luis is he is a tall, rangy shortstop who patrols the left side of the diamond like a panther. Not much gets by him. His bat is going to need some work. So, Emeralds’ fans need to be a bit patient with him. 2B Christian Donahue, who attended Oregon State, but was not drafted, could be a part of the Ems squad this year as well. Any number of players could fill in at first including Fidel Mejia and if 1B Luis Hidalgo does not make it to South Bend, and is healthy, he could destroy NWL pitching just as he did in the AZL and DSL last summer. 18-year-old shortstop Luis Diaz could also could back up Vazquez and Zinn. The powerful Christopher Morel should be at 3B. He has immense power but is still working on hitting offspeed stuff. Like last year, Eugene is going to have a lot of 18 to 19-year-old pitchers. The most prominent name on the list is Jeremiah Estrada, who the Cubs picked up in the 2017 draft after they talked him out of going to UCLA. He can throw in the low to mid 90s and has a plus-plus changeup. In addition, youngsters Danis Correa, Brailyn Marquez, Emilio Ferrebus, and Didier Vargas will be competing for spots in extended spring training. Correa, 18, is from Columbia and can throw in the mid to upper 90s. He saw a little time in the states last year at Mesa and seemed to hold his own. Marquez, also 19, is a 6’5″ lefty who misses a lot of bats and at times, the strike zone. Marquez played at Mesa last summer and drew raves at times for his talent; and other times he struggled to find the plate. Ferrebus, who just turned 20, held his own last year in two leagues and started in the playoffs for Mesa. Didier Vargas is another 19-year-old who did very well in the Dominican Summer League with an ERA of under one for the summer. One player who I cannot wait to see pitch is Jesus Tejada. The 6’2″ righty had a ERA of under two in August in the Dominican, and he also threw a no-hitter. He is one of the top pitchers on the rise in the Cubs system. My hope is that he makes the squad. Faustino Carrera is another 19-year-old lefty who does have command and can put the ball where he wants it. Unlike Marquez, Carrera sits in the low 90s. One pitcher that will be hard to miss is 6’8″ Stephen Ridings, a 2016 draft pick out of Haverford. Last year was his first as a Cub and he improved as the season progressed at Mesa. He can start or relieve. Add in 5 draft picks from the top 98 picks in this year’s draft and that’s a ton of talent. It’ll be interesting to see how this extremely young group of players develops in extended spring training the next two months. Most of them should make the Emeralds, a few might make it to South Bend, and a few might stay in Mesa. No matter who makes it, it’s gonna be very exciting to watch them grow and develop every night. 1. 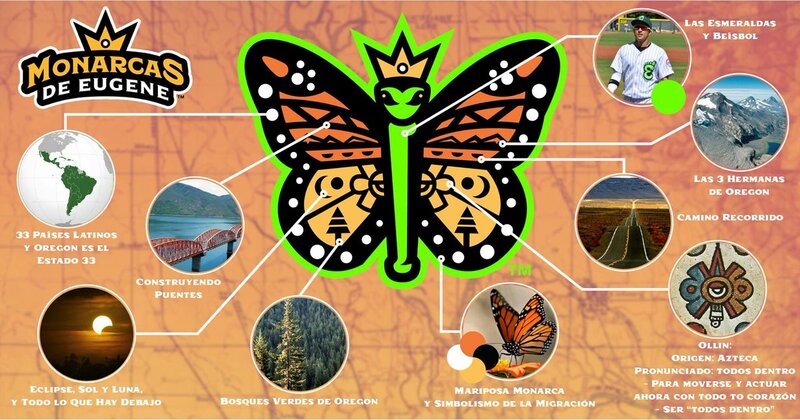 For every Tuesday home game this summer, the Ems will transform into the Monarcas de Eugene as part of MLB’s Copa de la Diversion. 2. The Cubs now have two teams in the Arizona Rookie League. This will create a lot of playing time for a lot of young players. It will also make it harder to get to Eugene as there will be a lot of competition to do so.